Tippler is used for emptying the loaded wagons by tipping it. Tippler retains wagon from top as well as from side by using clamping devices provided on it. 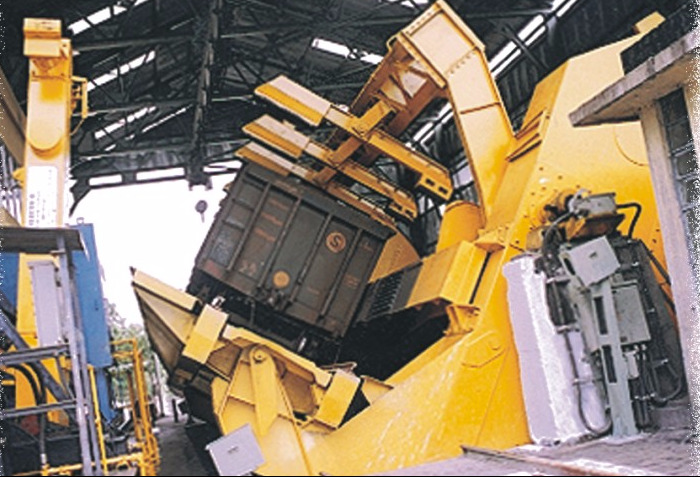 Apart from that track stops, wheel grippers and different type of limit switches are provided as features of wagon tippler. 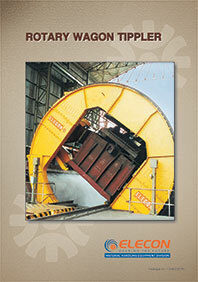 Tippler is driven by either Hydraulic drive or by electro-mechanical drive OR Hydro Mechinical Drive . 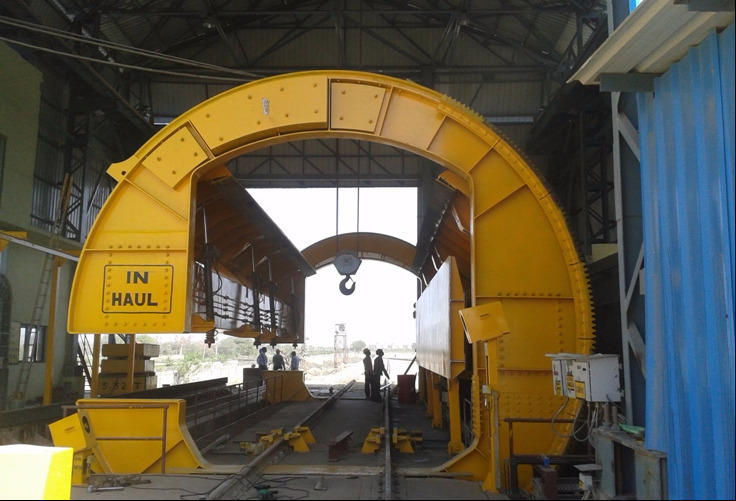 Placement of wagon, on tippler platform, is accomplished by wagon marshalling equipment like Side Arm Charger or Bettle Charger or Pussher Car deppending on Type of Wagon Tippler application. 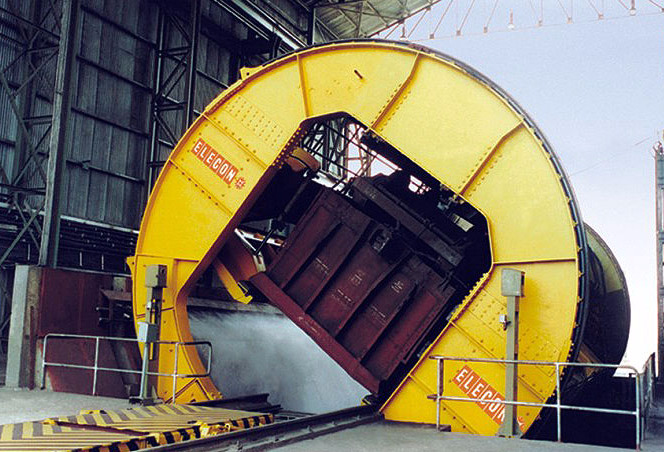 ELECON has supplied moren then 265 Wagon Tippler in various Industries.